DVSA data suggests 664,000 professional drivers had completed their 35 hours of mandatory training by the Driver CPC deadline today [10 September]. 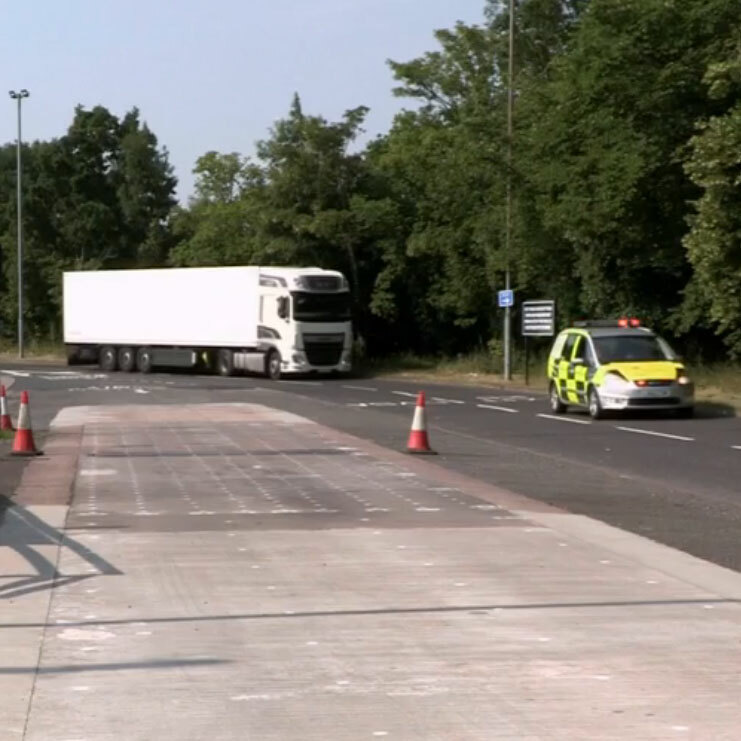 The DVSA had targeted between 425,000 and 675,000 drivers (HGV and PCV) in Britain to have completed their training by 10 September to continue driving professionally, having previously conceded an exact figure wasn't known. DVSA chief executive Alastair Peoples said: “I would like to thank the drivers and operators who have committed to the training and the wider industry who have been invaluable in helping with the introduction of Driver CPC. Joan Aitken, lead traffic commissioner on Driver CPC, said: “Traffic commissioners want to congratulate the HGV industry on reaching this milestone. Trainers, drivers and employers have worked hard to ensure drivers are qualified in time and traffic commissioners look forward to seeing the same high level of compliance that was shown by the bus and coach deadline a year ago. Driving without the DQC, or failing to produce it, will result in a £50 on-the-spot fine. There is also a maximum £1,000 penalty for repeat offences for the driver and O-licence holder. Offences will also be referred to the traffic commissioners, who have the option to suspend driver and operator licences. News is reaching us that DVSA are now sending reminders out in the post to drivers who need to complete their periodic training ahead of the expiry date of 09.09.19 on lots of their DQCs. Good numbers on our last courses again in January and some very positive feedback. Full capacity course of 20 attendees up at The Cheviot Hotel at Bellingham in Northumberland with our new instructor Graham going down really well with the farmers! The group up there now have 4 days under their belt and will complete next new year well ahead of schedule! DVSA have announced sweeping new changes to the way they fine LGV drivers. 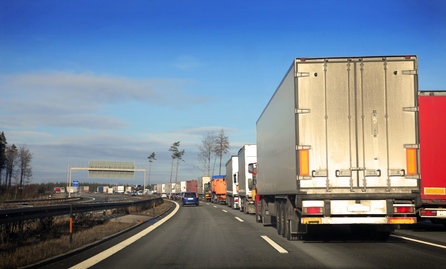 Drivers' hours: The change you need to know about fines for commercial drivers. 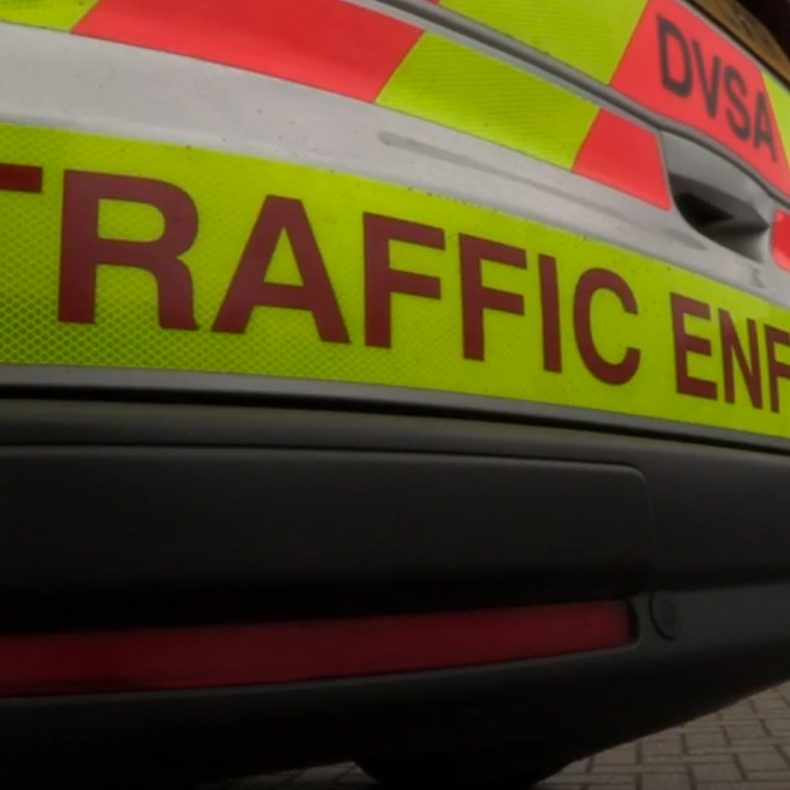 DVSA traffic examiners are going to be given new powers to issue on-the-spot fines for any drivers hours offences committed in the last 28 days. Traffic examiners will be able to issue fines for up to 5 drivers' hours offences in one single check. DVSA have said they will let drivers know when this will happen nearer the time. Plus, from 1 November 2017, DVSA traffic examiners will also have the power to issue fines of up to £300.00 to LGV drivers who spend their full weekly rest break in their vehicle, in places where it causes a problem. Drivers can also be prosecuted or even have their vehicle immobilised. But once these new powers are introduced it will mean in a single roadside check, DVSA traffic examiners will be able to issue fines for up to a total of five drivers’ hours offences. It means drivers could be fined up to £1,500 in a single check if they have consistently broken the rules. The rules will also apply to drivers who don’t live in Great Britain. However, they will need to pay these fines immediately, before being allowed to continue their journey. 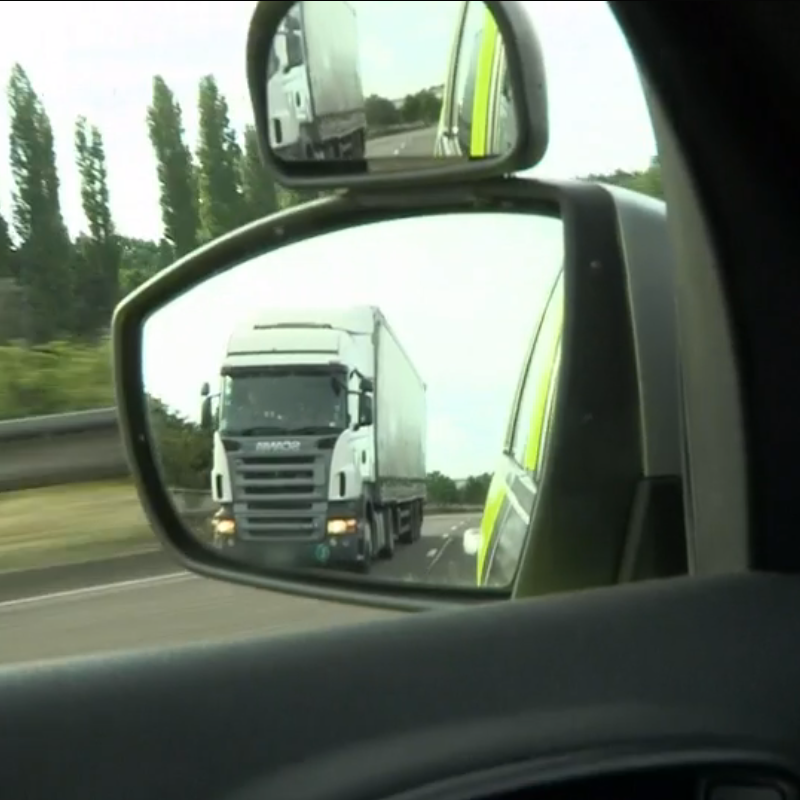 DVSA have said they will immobilise their vehicle until they settle their fines. When the rules will change? DVSA have stated the change will be well-publicised so drivers and vehicle operators are fully aware of the new penalties. There has been a report released recently February 3rd 2017 which has cited recent changes proposed for the Driver CPC for both drivers gaining the qualification via the Initial and Periodic training route. * In line ﻿﻿with other Union policies an even greater focus on training on fuel-efficient driving for professional drivers will reduce CO2 emissions and fuel costs. * More convergence, in or out of the EU the commission is concerned about state nots recognising DCPC. "Around 33% of all journeys made by heavy goods vehicles in the EU cross borders between Member States. Around 8 % of cross-border transport in the EU involves busses or coaches. These figures have been rising over the last few years." "The problem of the mutual recognition of periodic training followed in another Member State cannot be solved effectively by individual Member States acting alone." "Thus, EU legislative action is necessary to ensure that administrative practices in the Member States enable the mutual recognition of training within the EU." The amendment results from the fact that the transition period in Article 4 has expired and that all holders of a CPC have to comply with the provisions on periodic training since 10 September 2016. The new wording ensures that the periodic training includes at least one subject on road safety and that the same subjects are not repeated within the same training. It also provides that the training is relevant for the work carried out by the specific driver and that it is up to date and relevant." On a recent JAUPT (Joint Approvals Unit Inspection) audit of our course the inspector re-iterated this last point 'training is relevant for the work carried out by the specific driver' or put another way the 'powers that be' will frown upon bus drivers attending LGV courses! * Introduction of iPads or smart tablet devices is how we interpret this "Section 2 is amended to allow Member States to use ICT tools in training and allow them to combine the training object of the Directive with other forms of training required under EU legislation." * Again in or out of Europe, it would be difficult for any UK Government to contradict an aim for zero road fatalities in the future, however unrealistic that may seem to many. "In its White Paper of 28 March 201111 the Commission sets out a 'vision zero' objective in which the Union should move close to zero fatalities in road transport by 2050." Or put another way more and more emphasis on road safety, which for those wanting to see an end to DCPC is the morale high ground those wanting to keep it in place will always be able to occupy. * A pointer for new drivers coming through the Initial DCPC route here..."(6) Taking into account developments in training and education, and in order to enhance the contribution of Directive 2003/59/EC to road safety and the relevance of training for drivers, subjects relating to road safety, such as hazard perception, the protection of vulnerable road users, and fuel-efficient driving should be strengthened in the training courses." * As mentioned previously the possible use of smart tablet devices could be supplemented by on-line courses perhaps ? ..."(7) Member States should be provided with a clear option to improve and modernise training practices with the use of ICT tools, such as e-learning and blended learning, for part of the training, while ensuring the quality of the training." * Again an emphasis on Road Safety and Fuel Efficient driving here..."Article 7 is amended as follows: (a) the first paragraph is replaced by the following: "Periodic training shall consist of training to enable holders of a CPC to update the knowledge which is essential for their work, with specific emphasis on road safety and the rationalisation of fuel consumption. ";"
Initial qualification must include the teaching of all subjects in the list under section 1. The duration of this initial qualification must be 280 hours. Each trainee driver must drive for at least 20 hours individually in a vehicle of the category concerned which meets at least the requirements for test vehicles as set out in Directive 2006/126/EC. When driving individually, the trainee driver must be accompanied by an instructor, employed by an approved training centre. Each driver may drive for a maximum of eight hours of the 20 hours of individual driving on special terrain or on a top-of-the-range simulator so as to assess training in rational driving based on safety regulations, in particular with regard to vehicle handling in different road conditions and the way they change with different atmospheric conditions, the time of day or night, and the ability to optimise fuel consumption." * Back to the 35 Hour Periodic training now and another mention of the 'e-learning'. Compulsory periodic training courses must be organised by an approved training centre. Their duration must be of 35 hours every five years, given in periods of at least seven hours. Such periodic training may be provided, in part, on top-of-the-range simulators and by use of information and communication technology tools such as e-learning, while ensuring the quality of the training. At least one of the seven hour periods shall cover a road safety related subject. The content of the training shall take into account training needs specific to the transport operations carried out by the driver and relevant legal and technological developments. The seven hour periods shall cover different subjects." You can read the full reports by clicking on the PDF icons below. "The DVSA and JAUPT have got back to us and have confirmed that this is the new procedure. They have said following a legislative working group in Brussels, the Commission has made clear that member states should not be issuing DQC's that have an expiry date more than five years old. In order to comply, a change has been made to the recording and evidence system. 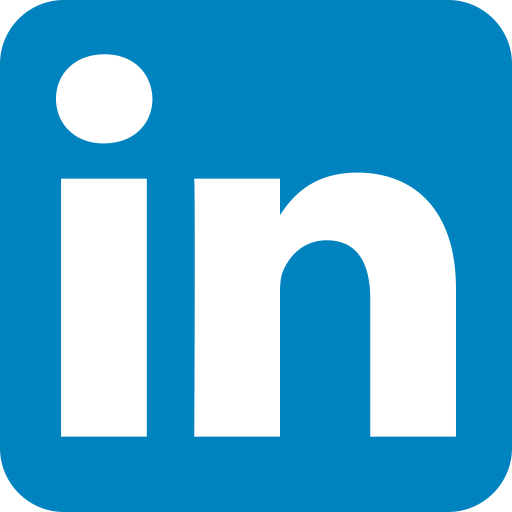 This change delays the issue of a future DQC until closer to the expiry date of the driver's current DQC." Last Friday 14th of October 2016 we received an email from another DCPC training company relating to drivers 'clocking up' hours in advance and receiving DQC's way in advance of most drivers expiry dates. Or put another way, a driver who has already completed the mandatory 35 hours (and has his or her DQC with expiry date Sept 2019) then going back and doing the next 35 hours and receiving their next DQC early with expiry date of Sept 2024 and so on. I bet some of you are thinking "as if once wasn't bad enough!" At this stage this statement is unconfirmed however and we are seeking clarification from RTITB as to it's authenticity. Watch this space. DVSA:- 'Following a legislative working group in Brussels, the Commission has made clear that member states should not be issuing DQC’s that have an expiry date more than five years old. In order to comply, a change has been made to the recording and evidence system. This change delays the issue of a future DQC until closer to the expiry date of the driver's current DQC'. Following a recent course and discussion with the DVSA's R&E team it came to light that DVSA are no longer issuing new DQC's on completion of 35 hours where the driver's current card has yet to expire. A driver who's current card expires in 2019 and completes 35 hours now, will be waiting nearly 3 years for his updated card. This will make it difficult for operators to keep track of driver DQC expiry dates and near impossible for training providers to establish if a driver is legible for DCPC training. We can only hope that JAUPT will not place centres on Stage One of the Escalation Process if a driver attends a course after completing 35hrs within his five years." Drivers are reporting Police and D.V.S.A officers are pulling over L.G.V. drivers again today at the public weighbridge at Wingate in County Durham. Northbound (and Southbound) drivers on the A19 can now expect to be stopped and asked for their Driver Qualification Card. It's now over 2 years since the first cycle deadline of September 10th 2014 when it became a legal requirement to carry a D.Q.C. Fines can be imposed of up to £1000 and drivers are also reminded of the insurance implications of driving without being qualified and with the second cycle of DCPC now well under way DVSA officers are not going to be amused with drivers using ignorance as an excuse. We are currently busy updating both our North East and UK Driver websites. Please log on again soon. In the meantime click here to go to the 'Latest News' section on our UK Driver website. We've posted some interesting articles on BREXIT and the recent trucking feature on 'The One Show' across on our other website. Drivers are reporting Police and D.V.S.A officers are pulling over L.G.V. drivers again today at the public weighbridge at Wingate in County Durham. Northbound (and Southbound) drivers on the A19 can now expect to be stopped and asked for their Driver Qualification Card. After September 10th 2014 it became a legal requirement to carry a D.Q.C. Fines can be imposed of up to £1000 and drivers are also reminded of the insurance implications of driving without being qualified. Wednesday 29th of July 2015: After our trip down to Telford last week as part of the Master Driver Consortium Consultation Group we have got a good insight into the new CPC course modules due for release in September 2015. At present we are delivering on a Friday afternoon the part of the course which relates directly to the recent news coverage of challenges facing drivers returning from the continent as reported in The Sun newspaper article detailed below. As things stand we are still waiting on a response from the Home Office regarding our request to clarify the situation as reported by The Sun in that the immigration Minister had reportedly done a 'U-turn' on fines. Rest assured we will be delivering the new updated module relating to company procedures and secure transport operations for LGV which covers in detail the advice given to drivers facing these ever increasing challenges from illegal immigrants also known as clandestines as detailed in the course content. In the Home Office's own words truckers will not be fined "IF it is found they have properly secured their vehicle and this is all decided on a case by case basis anyway. Also if you join the accreditation scheme and secure your lorry correctly as per our guidelines you will not be fined." John Fahey sent us this Home Office link. It was reported in The Sun on Sunday 19th of July 2015 that because of their ongoing campaign HGV drivers found with with stowaways will no longer be fined Immigration Minister James Brokenshire revealed in a victory for their "Truckers Charter". After weeks of chaos at the channel tunnel caused by striking French workers pressure has been growing for protection for British lorry drivers who feel that they are "sitting ducks" for attacks from migrants and an estimated 85% of all goods in our shops are delivered by trucks many of which travel from the continent through the channel tunnel which has been seriously affected in recent times. 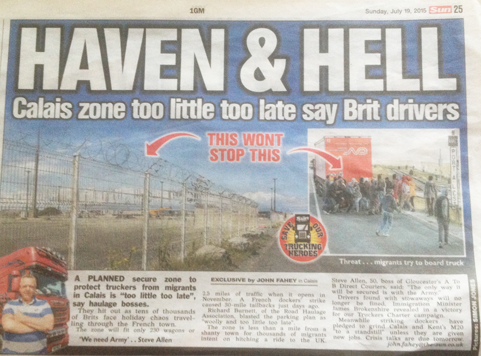 The article starts by explaining about the secure zone at The Channel Tunnel in Calais, Northern France to protect British truckers from migrants however we could not find official confirmation online that this U-turn has been made by the immigration minister so we have contacted John Fahey of The Sun asking to confirm details in his report hopefully if we get a response we will post details here very soon in the meantime see below the five-point plan put forward by The Sun newspaper as part of their truckers charter. * THE abolition of fines of £2,750 for each stowaway found after trucks pass through passport control in northern France. * AN increased police presence in Calais to protect truckers from weapon-wielding migrants. * THE Government to make “the UK less attractive” by refusing benefits to illegal entrants. * THE creation of a secure area for truckers near Calais port and Eurotunnel entrances with facilities for them to eat and rest. * FASTER processing on to boats and trains with more streamlined checks." Log on again soon for further updates. Second Cycle Almost One Year In Already! Believe it or not but we are almost one year in to the 2nd cycle of D.C.P.C. ! Of a five year period for drivers to do their second batch of 35 hours almost one year has passed since the deadline last September 10th. This means drivers who said they would do "one day a year" instead of sitting in the training room for a full 5 days we only have one more course to get your day in! If you can't make our full 5 day course next week (Monday 13th July - Friday 17th July 2015) the only chance to get your day in would be one of the days on the August 10th (Monday) through to the Friday August 14th course. * Take a week off work. * Lose a weeks earnings (if they were self employed). * Or even not be able to drive at all (if they overshot the deadline). Some savvy drivers already have a day under their belts. Many transport managers also have seen the sense in avoiding problems further down the road. They'll be the ones who will benefit when before we know it the deadline is coming around again! You can pick any day of our 5 day courses to do your one day a year. Call us on 0191 5561004 for more details. DVSA at Public Weighbridge in County Durham again today. 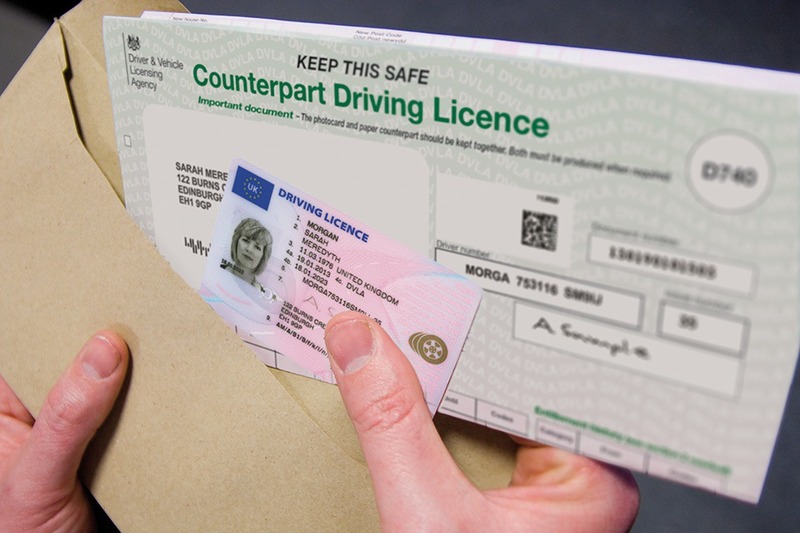 From 8 June 2015, the driving licence paper counterpart will not be valid and will no longer be issued by DVLA. Customers with existing paper counterparts. If you need to update your name , address or renew your licence, you will be issued with a photocard only. With the demise of the paper part of the license, drivers attending CPC Courses now only need to bring the photocard part of their licenses. Drivers on their 2nd cycle of DCPC need to bring their DQC. "The ID requirements for Driver CPC periodic training have been amended by JAUPT to allow for more flexibility. A driver needs to provide photographic ID AND evidence of their driving licence number. Alternatively a passport can be presented as long as it is supported by evidence of the individual's driving licence number (e.g. old style driving licence). The evidence supplied should be official documentation of some description. When a passport is being used as ID a copy needs to be taken of whatever evidence has been accepted as evidence of the driving licence number. This copy needs to be retained with the course paperwork for auditing purposes." We feel as a company however that there is a contradiction there given that the Gov.uk website is advising drivers to destroy the paper counterpart and RTITB are using alternative ID as passport with old style driving license (paper counterpart) it's simpler to just either bring photocard part of license or Driver Qualification Card each day you attend one of our courses. Possibly Last Chance For Drivers To Complete Their 1st Cycle of DCPC. Drivers who still haven't completed their first cycle of CPC are now struggling to find full 5 days courses. Not only that, as most drivers are now qualified, less drivers are out their to fill up spaces on any remaining courses. And the inevitable has happened ..prices for remaining seats on the last few courses are begining to rise sharply! We are currently holding our price at £60.00 per day. Courses elsewhere are charging up to between £80.00 and £90.00 per day. We are now seeing a steady decline in the number of courses that are being ran across the region and the country also. So with numbers dropping course prices are rising as training companies have few drivers attending. Drivers who still haven't completed their first cycle of Driver CPC are urged to get booked on our next course asap! Prices may have to rise! For more info on prices charged by other CPC Courses across the country click here. With the the DCPC deadline passed and most drivers complete on their required periodic training hours time may running out for many drivers who still need to gain their Driver Qualification Card. Drivers are reminded they can still attend a CPC course in their area, however with the deadline passed and numbers dropping courses now are becoming limited and drivers are urged to take what could be their last opportunity to stay qualified. Click for dates of courses in your area. (MONDAY TO FRIDAY) CALL 0191 5561004 TO BOOK! Drivers are also urged to double check they have both parts of their license (and it is in date and valid) as you will need to bring these with you each day you attend the course. Drivers with the old style license will need an in date passport also and are reminded they will need to upgrade this to a new style license in order to receive their D.Q.C. which is now sent out to drivers direct to them from the D.V.S.A. in Longbenton in Newcastle-upon-Tyne after attending one of our CPC courses. YOU MAY NOT HAVE MUCH LONGER LEFT TO COMPLETE THIS TRAINING ! ACT NOW ! CALL 0191 5561004 FOR ADVICE. Due to the shortage in the haulage industry for fully qualified L.G.V. drivers the average salary is continuing to rise for drivers who have managed to stay qualified. We checked various sources and found the "going rate" on www.totaljobs.com (a nationwide recruitment agency) for the average in the North East of England ranged from a lowest salary of £20,536 to a highest of £24,449. Many local employers are struggling to fill vacancies for lorry drivers. It could be boom time this Xmas for North East drivers hourly rates. Articulated vehicles replaced reindeer as the favoured Christmas delivery service several years ago, but what will replace trucks this year if there is no one to drive them? The UK logistics industry is facing its worst driver shortage in the run up to Christmas, and is blaming EU regulation coupled with the fact thousands of heavy goods drivers are retiring as the population ages. “It’s a crisis . . . Christmas could be put on hold,” said Julian Thompson, managing director at 24-7 Staffing, a logistics recruitment company. The country is gearing up for what is expected to be a record-breaking year for ecommerce deliveries, with 180m home deliveries forecast for November and December, according to the Interactive Media in Retail Group. But according to the UK Commission for Employment and Skills, the logistics industry is 60,000 drivers short. The Freight Transport Association, which represents the transport industry, said that 20,000 drivers have quit since September alone, when the new rule came into effect. However that shortfall in drivers could pose as an opportunity to many unemployed drivers looking to get back in to work. Also we have seen a big demand for course places from military service personnel looking for jobs in "civvy street" after leaving the armed forces due to cut backs. 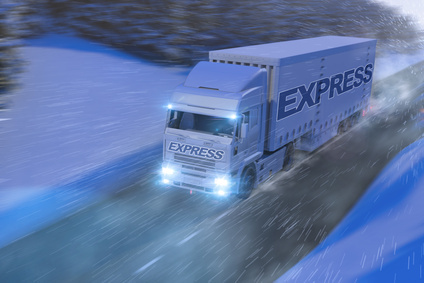 And it's seen as good news for hard pressed drivers who are now enjoying hourly rates as high as £19.00 per hour (night shift) for some Xmas delivery agency work. With www.payscale.com reporting the national average for a truck driver annual salary at £24,000 it was interesting to note that not surprisingly truckers in London earned on average 12% more, truckers in logistics hub area of Milton Keynes earned a staggering 31% more than the national average. And with the boom in online commerce with retailers such as eBay and Amazon experiencing record breaking sales the knock on effect for delivery drivers is translating to higher demand for drivers and higher hourly rates being offered by agencies for drivers who have managed to gain their Driver C.P.C. Many drivers who were reluctant to attend our courses at first are now seeing the initial expense as something more of an investment in their professional driving careers. And despite reports of doom and gloom and Christmas being "cancelled" we can point to a strong demand for our courses with the November course being fully booked. However any drivers who still need the full 5 days CPC are being urged to take up what could be their best opportunity to recoup some of the expense of the training with high hourly rates being offered over Christmas. For details of our last full course this year click here. Due to numerous request from drivers attending our courses we are switching to email certificates from Monday November 24th 2014. After the course has finished we will receive your certificates (via email) from R.T.I.T.B. within 10 working days after the uploads have been made (the Monday following the course for those attending all 5 days). Once we have all of your certificates we will email them out to you (in PDF format). We have switched to this due to demand. Many drivers have requested speedier delivery of their certficates using email as opposed to the more time consuming method of waiting for paper based certificates to come out in the post. Because we are now past the deadline and drivers are keen to show they are qualified as soon as possible we are aiming to upload hours next working day after each course with hours showing on the online training record 48 hours after this. You will of course have to still register as a new user on the DVSA website by visiting the below website link to view (and print out) your training record. Please note password to access this can take 10 days to arrive in the post. * YOU DO NEED TO SEE ALL (35) OF YOUR HOURS ONLINE ON THE DVSA WEBSITE BEFORE YOU CAN LEGALLY DRIVE !!!! If you are a new user, you need to register to use the online service. Please note that you will not be able to register to use this facility until at least one training course has been recorded for you. When you register, a password for the service will be sent by post to the address on your driving licence. So, it's important that you keep your address up to date. You can use this online service 24 hours a day, Monday to Sunday. If you have any problems when using this service, please contact DSA's customer service team on 0191 2048112. This line is open Monday to Friday 9.00am to 17.00pm. If you have any further queries relating to this matter, please don't hesitate to contact us. Driver and Vehicle Standards Agency | Eastgate House, Kings Manor Business Park, Newcastle upon Tyne, NE1 6PB"
If you experience any problems please contact them direct on their helpline number which is 0191 201 8112. Drivers are reporting DVSA (formerly VOSA) parked up in two Ford Galaxys on both the northbound and southbound lanes of the A19. One is sat waiting on the slip road opposite N.S.K. Bearings and the other is at the public weighbridge at Wingate and between them they are operating a rotation system whereby a driver is being pulled over on average every 10-15 minutes and took to the weighbridge to have their vehicle inspected and are being asked to produce a valid Driver Qualification Card. DVSA at Public Weighbridge in County Durham on an almost daily basis. Drivers are reporting Police and D.V.S.A officers are pulling over L.G.V. drivers on an almost daily basis at the public weighbridge at Wingate in County Durham. Northbound drivers on the A19 can now expect to be stopped and asked for their Driver Qualification Card. After September 10th 2014 it became a legal requirement to carry a D.Q.C. Fines can be imposed of up to £1000 and drivers are also reminded of the insurance implications of driving without being qualified.